This is probably one of the brightest and boldest outfits I've ever worn. These leggings are actually little peacocks with lime green, mint green, bright blue, and white. 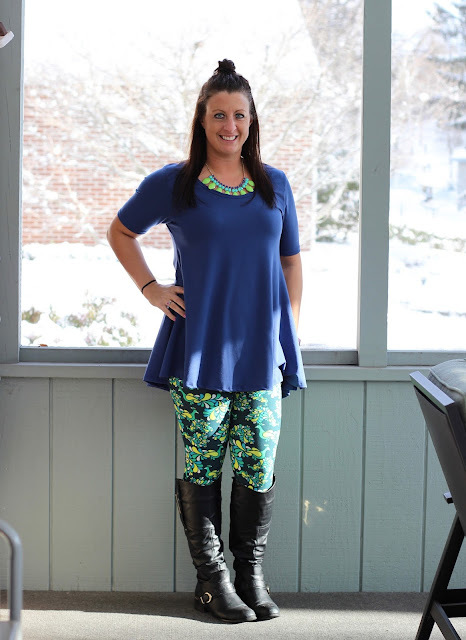 And while there's no regular blue on the leggings, it still looks amazing with a blue top. 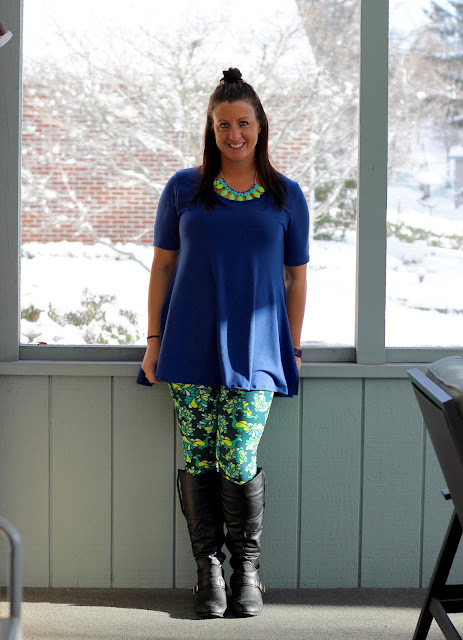 I also happened to have a statement necklace with all the colors from the leggings in it so I was excited to put this outfit together. Of course it was a snowy day so hardly anyone was at work and I could barely show it off. That's how it always happens though right?